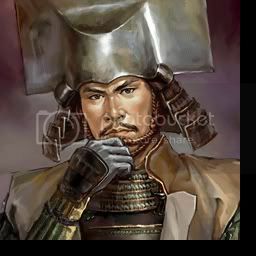 I cannot, for the life of me, manage to find any of the four officers in any of my playthroughs or any of the four available scenarios in Nobunaga's Ambition: Rise to Power. I've literally searched every castle from every daimyo but haven't found them. I've been through every scenario at least 3 times each, but maybe I missed them or maybe they show up during one o the scenarios. I was hoping that by some odd miracle, maybe someone on the board has come across these officers in game and may know their names so that I can read their biographies or their wikipedia articles to learn more about them. Thank you so much in advance! Note: The reason why I am asking is because I've manage to find 146 out of 150 of the names, stats, and biographies for the "Special 2 Portraits" in ROTK X on PS2 except for these four, so if you could please help me, I'd be very grateful. Last edited by darrylsg on Fri Jul 22, 2011 4:07 am, edited 1 time in total. I believe this is what you were looking for? Thanks for the fast reply. I am not looking for their ROTK stats though. I am just trying to find out the names of these four officers so that I can see their biographies and hopefully read a little more about them on Wikipedia. The only reason why I became interested in biographies of Sengoku characters is because the first time I saw them was in ROTK X. So then I looked for each and every officer from the "Special 2 Portraits" in Nobunaga's Ambition: Rise to Power game so that I could know more about each of them. The reason why I posted that list is because I thought that maybe you had the game. I figured if you did, you would be able to match the portraits based on the number and page listing given by the thread creator. Otherwise, I'm not sure unless someone around here has the game. Thank you Zhuanyong. You're absolutely right. It was my fault for forgetting to mention that I have searched that topic as well as many other threads around the forum. The closest I've gotten to completing the list was in the "Romance of the Three Kingdoms X" discussion, but that list was incomplete. 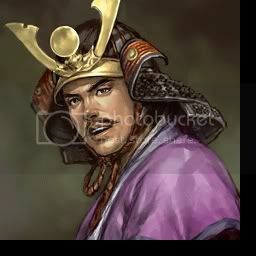 Because I have seen so many incomplete or unanswered requests for for the complete list of Sengoku names in the "Special 2" Portraits that appear in ROTK X, I have decided to take it upon myself to go out and purchase Nobunaga's Ambition: Rise to Power and try to hunt down every officer in game and upload a complete list of all of the officers. 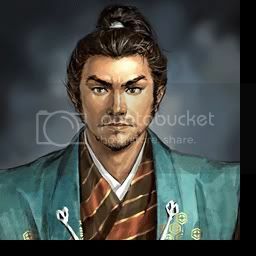 Hopefully I can help those who are still interested in wanting to know who all appears in ROTK X, so that we can all enjoy a simulation of a fictional scenario where Sengoku Japan tries to assimilate Three Kingdoms China. I've done so much research on different Wikia's and forums to try to match other's lists on the internet with the names and portraits, but they all have yet to either complete the list or do it accurately. So I stopped looking online and went into the game and spent days trying to match portraits and names so that it could be more accurate. I am almost finished with compiling the list and would love to post it but want it to absolutely be accurate and complete. I have even found a site that lists every single officer's stats from NA: Rise to Power. The "Special 2" Portrait list contains 20 pages with 10 officers on each page. The first 5 pages are purely created/fictional portraits. Pages 6-20 contain historical officers bringing it to a total of 150 officers. 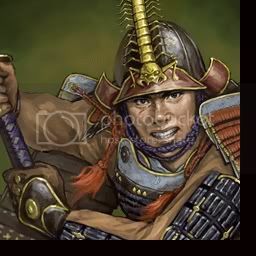 Some of the officers may be easy to spot from physical features or uniforms like Takeda Shingen, Uesugi Kenshin, and Toyotomi Hideyoshi for example. But not all of them are easily figured out. Then there are certain officers that have multiple or previous names in which I intend to upload in my list as well. Last edited by darrylsg on Thu Jul 21, 2011 9:27 pm, edited 1 time in total. Here is what I have been working on and why I need these four officers' names. Any help with completing the list would be much appreciated. Last edited by darrylsg on Fri Jul 22, 2011 6:24 pm, edited 1 time in total. The [ROTK X Special 2 Portraits] Sengoku Characters Project has officially been 100% completed. Thanks to Sanjima_Ryuku and SRS from the Koei Warriors Forum for providing me with the names of the four missing retainers from the list. The reason why I was never able to encounter them in Nobunaga's Ambition: Rise to Power is because these four retainers are all under age in the 1582 Scenario "In the Wake of Honnōji".